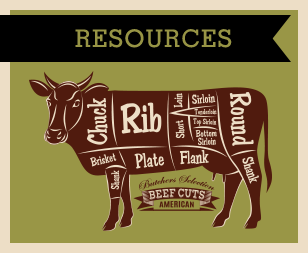 Our list of Customer Resources includes general information about working with T&E Meats as well as details about fees, cutting instructions, USDA labels, and our Humane Slaughter certification. If you have any questions about this information, please let us know! 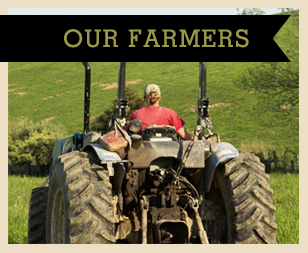 At T&E, we work with farmers and producers who are completely new to agriculture as well as veterans to the business, so we welcome all questions great and small. Customer Guidelines (2017) Customer Guidelines: Our customers benefit from knowing how to work with T&E Meats before bringing animals to the plant, so we have put together Customer Guidelines that includes all of the basic information you need to know, including details about dropping off animals and picking up orders; pricing; USDA labels; cutting instructions; and much more. Just click on the image to the left if you would like to read, print, or download the document. 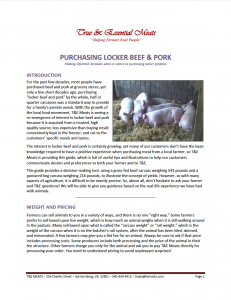 Locker Meats Information: If you’re an area farmer who is interested in selling Locker Meats to friends, family members and other individuals, this booklet provides information about working with your customers and educating them about the yields and cuts they can expect when they order a quarter, half, or whole animal from you. Just click on the image to your left if you would like to read, print, or download this information. 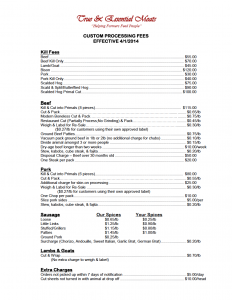 Processing Fees: The T&E Meats Processing Fees include information for beef, pork, lamb and goat, so make sure you refer to the correct species when you look at our pricing. Also note that there are extra charges for USDA-inspected meats. Just click on the image to the left if you would like to read, print, or download our pricing information. 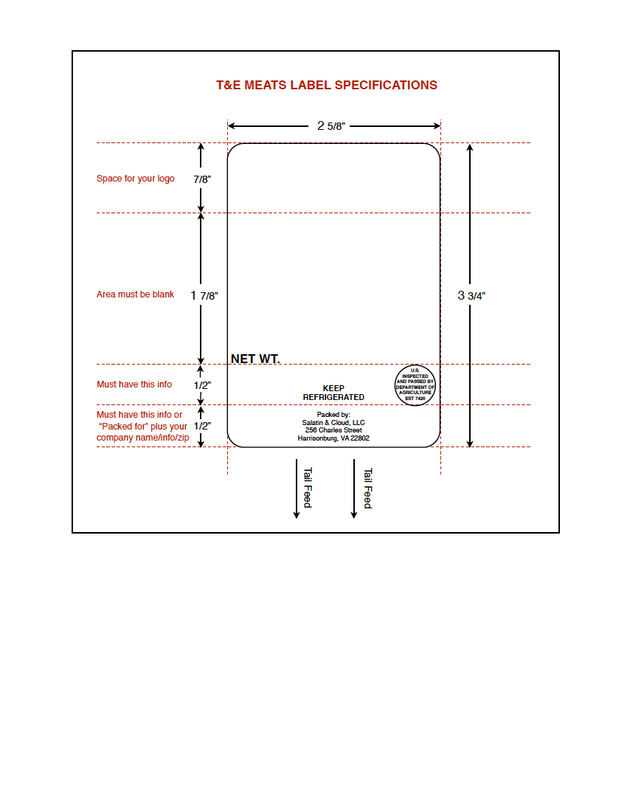 CUSTOM PORK CUT SHEET Cutting Instructions: T&E Meats provides specific Cutting Instructions forms for each type of animal we process. 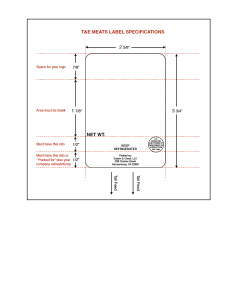 We also provide Cutting Instructions forms for Custom Processing, also called “Locker Meats.” To view, save and/or print one of the Cutting Instructions forms, just look at the list to your left and click on the title of the Cutting Instructions you want to use. USDA Labels: The USDA has very specific rules about what information can appear on your label, and the agency has to approve your label before you can use it. Also, T&E has specific guidelines for the size and format of your labels, so they will fit and print properly in our weigh-and-label machines. We will also give you information about our recommended printer, who understands our label specifications. 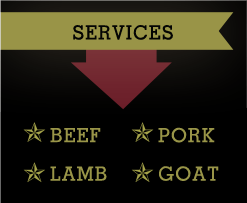 If you are ready to order labels for your own branded meats, you’ll need to consult with someone on our staff who will help you to understand the USDA approval process and all of the other details. In the meantime, if you would like to view, print, or download our label specifications, just click on the Label Specifications image to your left. 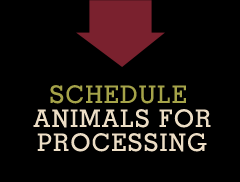 Humane Slaughter: The USDA has rules and regulations regarding humane animal handling, and our on-site inspector monitors our slaughter process every day that we are killing animals at T&E Meats. However, our slaughter facility is also inspected by a third party specialist from Animal Welfare Approved (AWA), an organization that has ensured the proper handling and slaughtering of our animals since 2012. Some of our farmers have become “AWA farms,” so they need to make sure that we, as their slaughter plant, are also inspected by AWA. 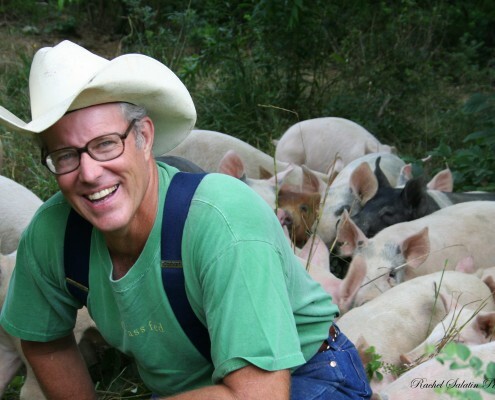 Following a review on January 6, 2015, T&E Meats is recommended by AWA for slaughter of beef, pork, sheep, and goats from AWA farms. If you wish to find out more about Animal Welfare Approved, just click on the image to the left to go to the Animal Welfare Approved website.